I forget that you haven’t been behind-the-scenes with me to know what I’m talking about. I’ll spend the early part of the year breaking down my organizational system so you can follow along. If you haven’t created a working system of your own, it’s going to be a *huge* life hack + time-saver. Today, our focus is the editorial calendar. The editorial calendar’s main functions are to (1.) better plan your content and (2.) write and schedule posts in advance. Its purpose is to help you organize your blogging schedule to make the most of your posts for both you and your readers. An editorial calendar does wonders for your blog because it will help you develop a rhythm that will tie your content together in a phenomenal way. 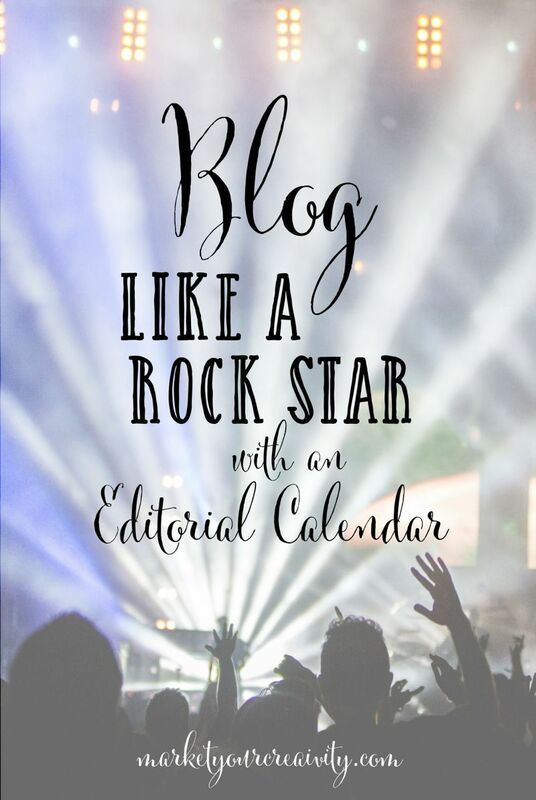 For example, when I’m working on a project, say The Ultimate Blogging Kit (UBK), I use my editorial calendar to schedule posts about and in reference to that project months before its release. When I was working on UBK, I wrote several posts pre-release, including the aforementioned 27 Blog Topics You Can’t Wait to Write (and Your Readers Can’t Wait to Read). In the same timeframe, I also wrote the heavily stacked, epically useful post titled, How to Launch Anything & Make It Rain. Both articles have been pinned thousands of times and continue to drive traffic to my site and the e-program that’s for sale. I was (and still am) working off of an editorial calendar that is designed to build up to and follow-through on the major projects I’m working on behind-the-scenes, while keeping my blog content-rich and relevant. Here is a list of things that will help you create and maintain an editorial calendar for your blog. 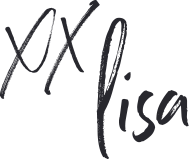 I run a multi-faceted creative business, and I manage several different aspects of it (blog, shop, books and live events). I used to try to keep everything in one day planner, but I’m currently using three: 2 day planners and Your Best Year. Your Best Year organizes my big goals + intentions for the year, one of my day planners manages my daily schedule and monthly to-dos, and the other day planner is strictly an editorial calendar and note-keeper for my blog. If you’re a paper junkie like me, it seems so excessive to buy multiple planners, but I promise: it’s a legitimate expense! 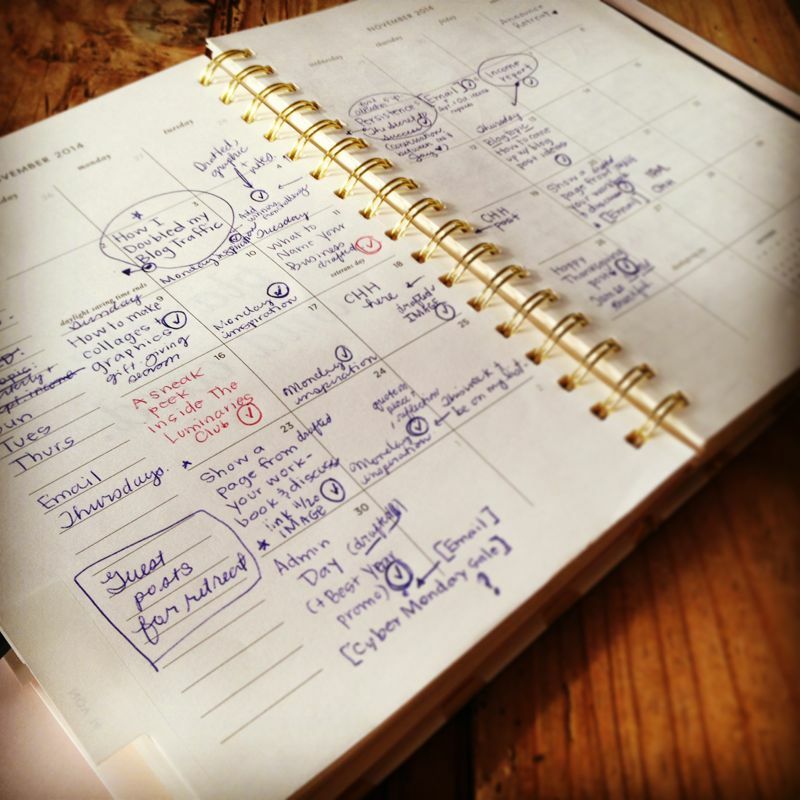 Your editorial calendar will need constant rearranging (mine looks a mess some months), and if you dedicate one book to it, you’ll have plenty of space to keep notes, potential blog topics, outlines and possible headlines. Did I just date myself? Now you know. I’m talking about the old school Trapper Keepers with velcro closure circa 1988. The thing that collects everything. Before starting my own editorial calendar, I kept my blog notes everywhere: paper notebooks, emails to myself, virtual notes on every digital thing I use, Evernote, you name it. Now, blog notes and ideas have only one place to live. I use the monthly section of my day planner to record all the titles that I’m going to write that month, and I use the pages meant for actual day planning to outline the posts that are coming up that week and record any notes or sources I want to site in the article itself. In my recent post, How I Tripled My Blog Traffic in 3 Months, I mentioned that more frequent newsletters were one of the contributing factors for more traffic. I use my editorial calendar to record and keep track of when those mailings are sent. I don’t want to send too frequently, but I don’t want to send too often either! My editorial calendar takes the guesswork out of scheduling. It never fails; I’ll have a full editorial calendar when I find myself needing to write about something very current, such as EU VAT laws or How Etsy Gambles with Your Livelihood. Some months, my editorial calendar becomes an absolute mess of scribbles, arrows and scratch-outs. I’ve seen systems where people use post-it notes on their editorial calendar so they can switch topics around, and I could always write them in pencil. It’s just not my style; I love my Papermate blue pens! I post on Sunday, Monday, Tuesday and Thursday. I have some regular monthly entries, and a few things I’d like to discuss or promote. When scheduling the month in advance, I pen recurring posts first, add a few topics of interest and then leave a few openings for current events. If I was struggling to come up with blog topics, I might do that. I’m typically working on something behind-the-scenes that sparks a lot of discussions and helps me build to its release. Wow! Thank you so much for this. I am going to be blogging more regularly now and am going to be a guest writer on another blog, so I can definitely use your great tips. I just started organizing this morning on some paper, but a day planner is a much better idea. Oh wow, I could never do a paper+pen system and keep my sanity, especially considering it’s not just me writing blog posts! I’m in the market for the ultimate digital solution, but so far what has worked the best for us is a calendar inside the project management website Asana (which is free for under 5 users by the way!). It’s not only way neater than paper (no arrows! ), I also can never lose/ruin it, can access it from anywhere, and my business partner can work on it at the same time even when we’re in different places. I will definitely use your tips there though, especially the idea to add emails to the ed calendar. Thanks! I have been struggling to figure out where to track my editorial info. I have a sticky note “spot” on my wall that I use when I think of things, but I think I better get it more sorted and organized. I’m pulling out my planner now!! 🙂 Thanks! Thanks for this! I’m still in the early stages of my creative career and your insight and experience is invaluable! I found this post at the perfect moment. 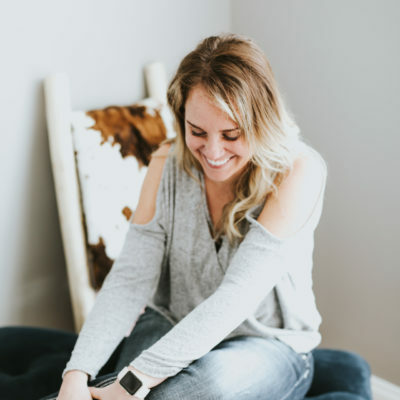 I recently launched my blog and was finding it difficult to get organized, and I definitely connected with this method because I am also a trapper keeper lover and old-fashioned girl. Thanks!